Founded in 2006 after an outcry by British pilgrims at Hajj 2005 who felt let down by their tour operators and that there was no one to represent them, CBHUK was born. The charity continues to work at grass roots to raise Health and Safety awareness and provide overseas travellers with essential and practical advice. 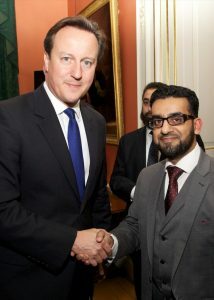 We have worked and partnered with many local organisations such as IMWS in Batley, Lancashire Council of Mosques (LCoM) and Bolton Council of Mosques (BCoM) and Statutory bodies such as the NHS, Dept of Business, the CAA (ATOL) to name a few. 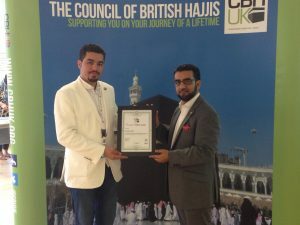 This has bought about positive changes into the Hajj and Umrah travel industry and we continue to work on the behalf of British pilgrims and overseas travellers to address their issues. 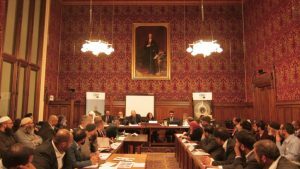 Hosted a historic Hajj Debrief 2015 Meeting in UK Parliament following the tragic Mina Stampede. Collaborated with the British Consul General in Jeddah and the Foreign & Commonwealth Office in running a LIVE Q&A over twitter. 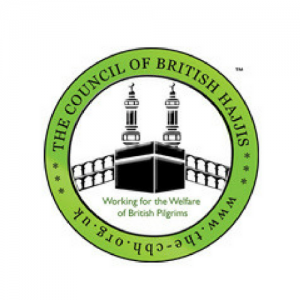 Representation of British pilgrims at a meeting held August 2014 at the British Foreign & Commonwealth Office, London with the UK’s Consul General in Jeddah, Mohammed Shokat – raised issued facing British hajjis. Representation of British pilgrims at a meeting at the British Foreign & Commonwealth Office, London with the UK’s Consul General in Jeddah, Mohammed Shokat. Following feedback, the design of our logo was updated. Which we believe portrays the professionalism, corporate direction and vision of being the leading national charity serving the British public going for the Hajj & Umrah and overseas travel. It is also distinct allowing ease of brand recognition.